Fin Sealing, Horizontal & Flow Wrapping Service | Accel Inc.
Horizontal wrapping is often referred to as fin seal or flow wrapping. Flow wrapping is a packaging process that over wraps a product with film and creates a “fin” at the bottom of the package. This film can be clear, opaque or printed. This is a popular packaging method that is often used for small food products and printed material such as utensils, mailers, magazines, cards, and promotional items. 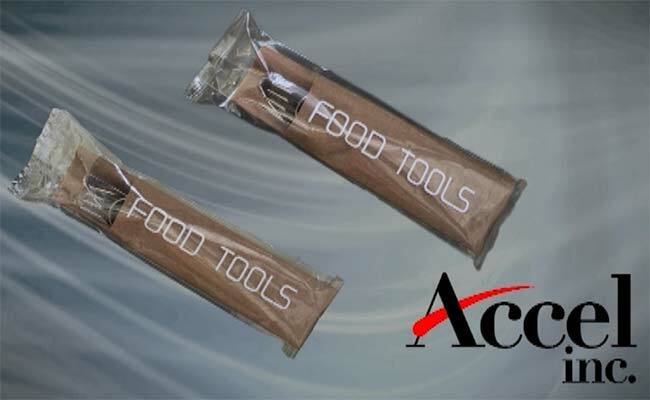 Our flow wrappers are capable of wrapping both food and non-food items for both the retail and food service channels. We can wrap at a high speed and the dimensions can be up to 8-1/4” Wide x 18” Length x 3-3/4” High. 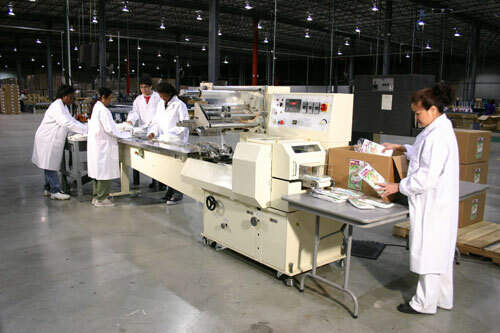 We can run your products through the primary flow wrapping machines and then directly into a secondary process. This allows us to decrease your production time and increase your cost savings, all while delivering you the highest quality and service in the industry.